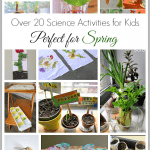 Follow our Spring Crafts and Learning Pinterest board! 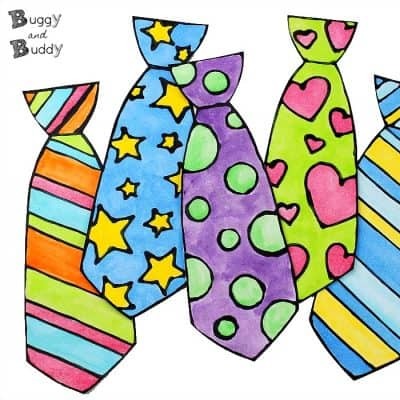 *This post was originally published on March 12, 2015 and has since been updated. 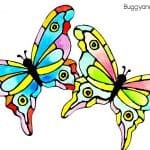 Spring is the perfect time of year to learn all about butterflies! 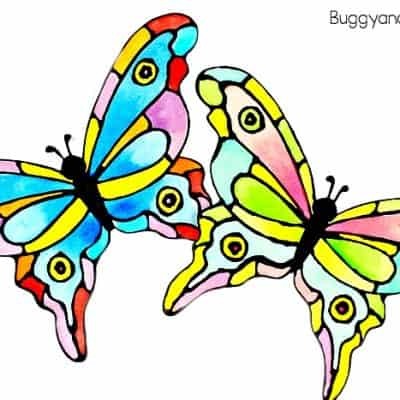 We’ve seen quite a few fluttering around our backyard over the last couple weeks, and have encountered lots of cute, fuzzy caterpillars around town. 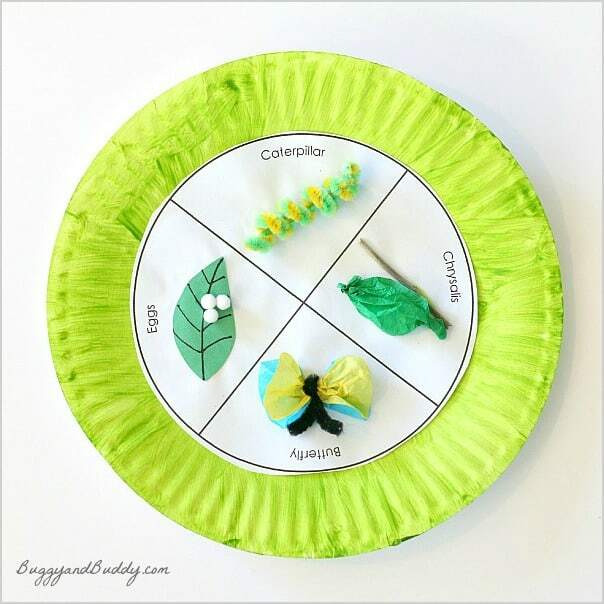 After learning all kinds of butterfly facts, I decided it was time to whip out my trusty, old paper plate butterfly life cycle craft from my teaching days to do with the kids! 2. 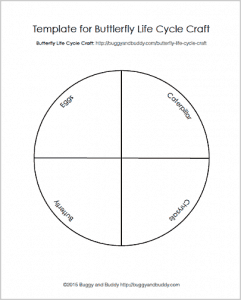 Print out the free butterfly life cycle template. 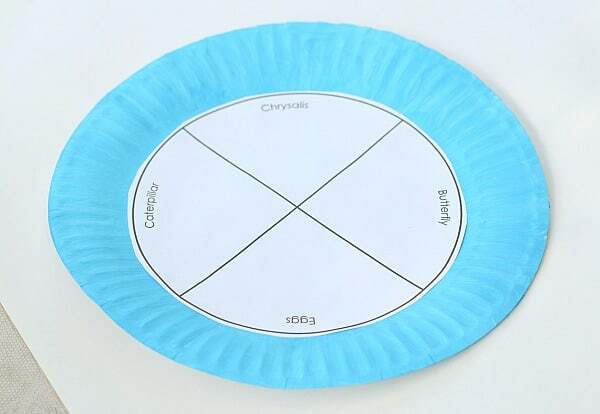 Cut out the circle and glue it in the center of your paper plate. 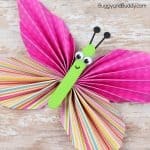 Cut out a small leaf from your green construction paper. Glue some small, white pompoms onto your leaf to represent the eggs. 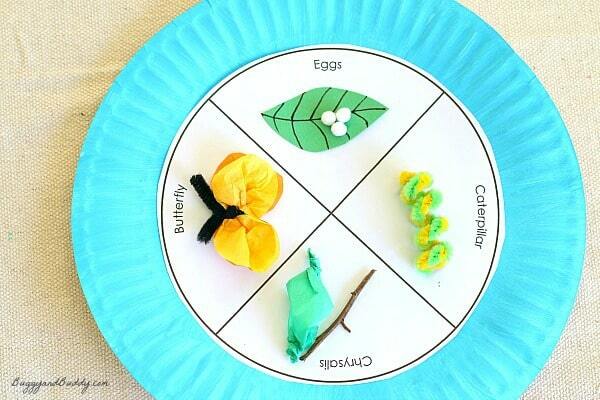 Glue the leaf and eggs onto the leaf section of your plate. 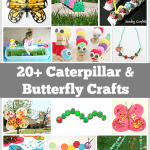 Choose two different colored pipe cleaners to use for your caterpillar. Cut the pipe cleaners so they are each 6 inches long. Twist the two pipe cleaners together. 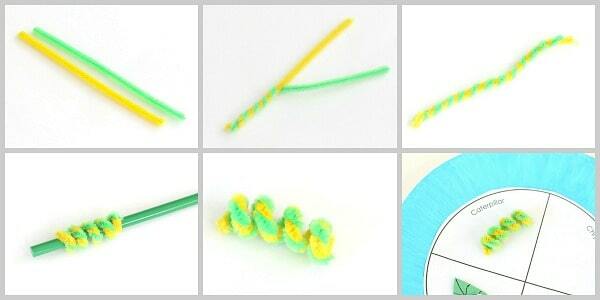 Wrap the twisted pipe cleaners around a pencil. 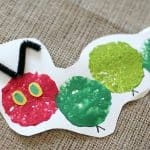 Glue your caterpillar onto the caterpillar section of your plate. 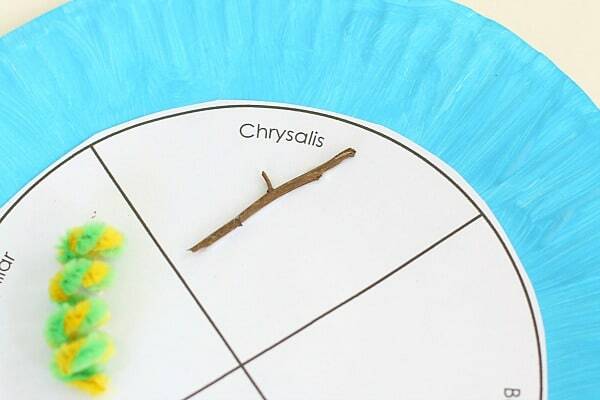 Glue a small twig onto the chrysalis section of your plate. 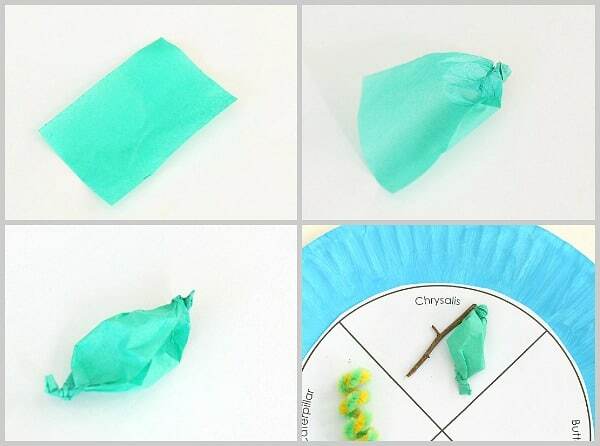 To make the chrysalis, cut a piece of tissue paper so it’s 2 inches x 3 inches. 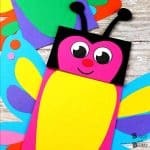 Twist the top and bottom of the rectangle to form a chrysalis shape. 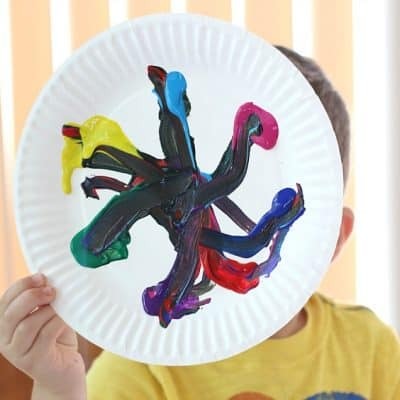 Glue it next to the twig on your paper plate. 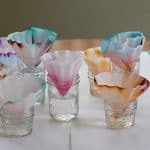 Choose two colors of tissue paper to use for your butterfly wings. Cut them to 2 inches x 2.5 inches. 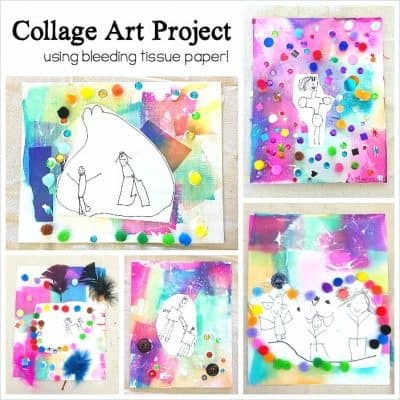 Stack the pieces of tissue paper together and round the corners with your scissors. Cut a black pipe cleaner so it’s 2.5 inches long. 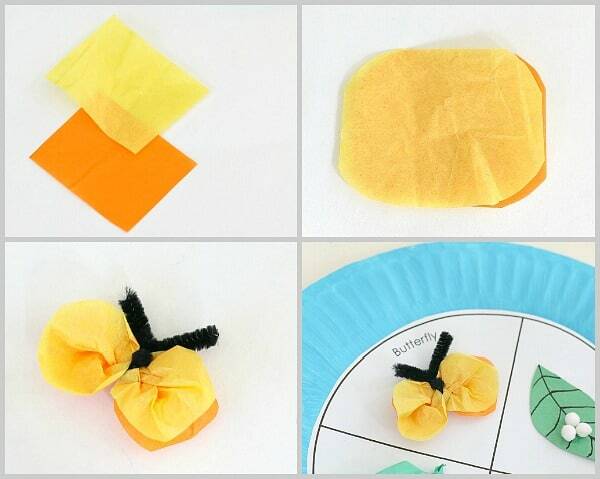 Scrunch up the center of both pieces of tissue paper and twist your black pipe cleaner around it. 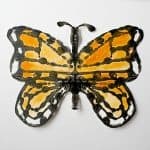 Glue your cute, little butterfly onto the butterfly section of your paper plate. You’re all done! 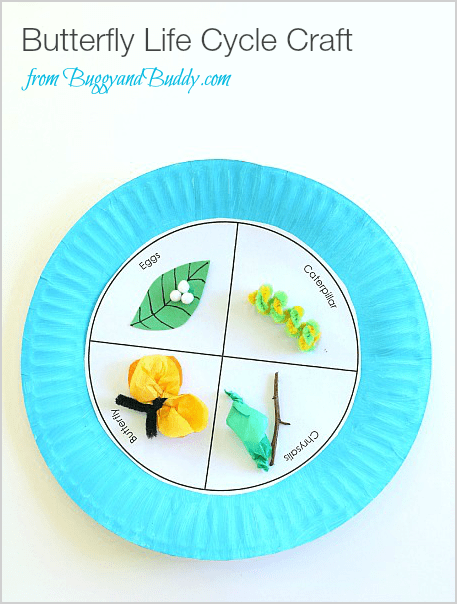 Once the craft is dry, your child can use it to retell the stages of the butterfly life cycle! 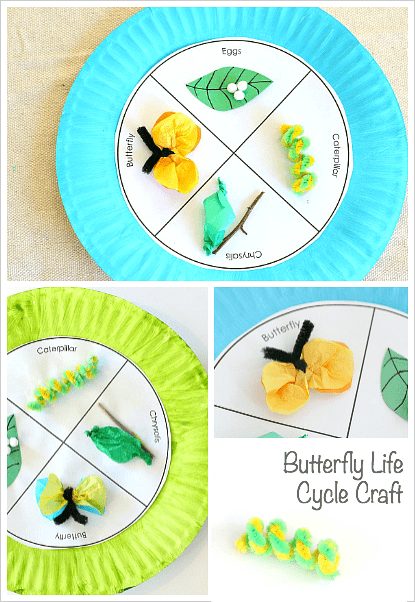 We have always shown the butterfly life cycle on the paper plate just as you have at Creative Tots Preschool, but have never added the flair of color. I LOVE it!!! What a beautiful example! Thank you for sharing! Can’t wait to share with our Creative Tots! 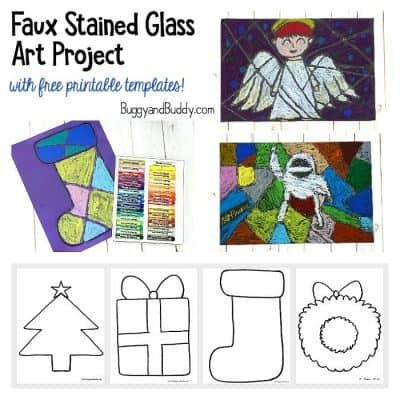 Thank you so much for sharing this idea! I love that it doesn’t use any food items, as I am learning as an ECE student is not appropriate in the classroom anymore. To promote inclusiveness and understanding of people who come from backgrounds where food is scarce.